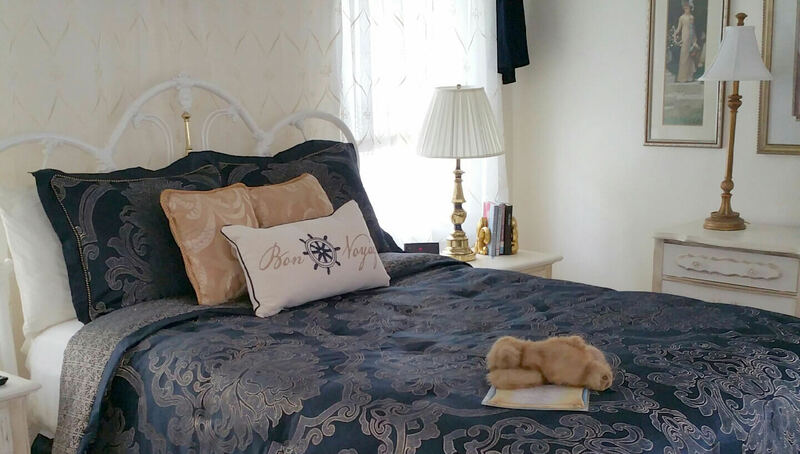 The Herman Room is a bright and airy second floor room with Queen white and brass bed with a silk pillow top mattress and lots of windows! Flat screen TV and year-round fireplace. A large private in-room bath with a single whirlpool/tub/shower combination.